Engraving - Services - Pepperite Thermographers, Inc.
As one of the oldest printing techniques, dating back to the 16th century, engraving remains a time honoured tradition here at Pepperite. 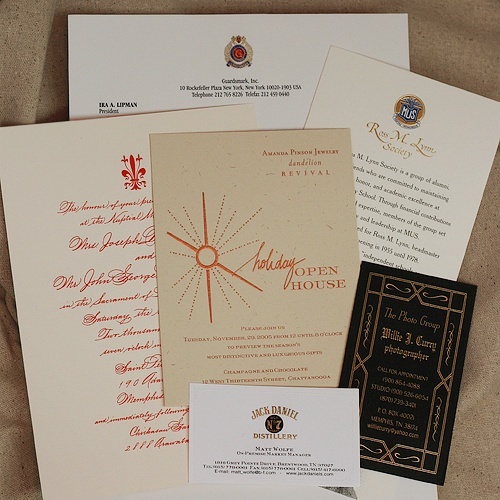 Our unique line of engraved wedding and formal party invitations, engraved social stationery, business stationery and business cards has sustained our reputation as Mid-America's finest engraver for over sixty-five years. In the midst of our changing world of high technology, we at Pepperite have chosen to embrace our tradition as a fine engraver.